You need to look after your Spiritual health even more than your physical, because this life is temporary. So, make the best of your time here. Daily Bible features several translations, daily verse, reading plan, devotionals, topic and index and searches. You can even perform voice searches. The best feature though, is the audio reading of the King James version, which although faulty, is beautiful to hear. 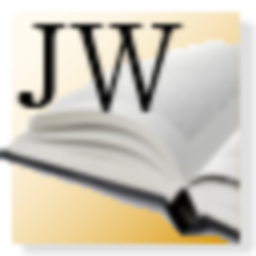 This app provides easy access to the materials provided online by the Watchtower Bible & Tract Society, including the Daily text, the New World Translation of the Holy Scriptures and copies of all the current magazine offerings in PDF format. While the latter are not the most convenient to read on a smaller mobile device, they will do in a pinch if you're behind on your reading or forget your materials at home. Gain access to the most accurate modern translation of the scriptures. This is the version used by Jehovah's Witnesses. The nice thing about this app is that it will let you download an entire copy of the NWT to read offline. This is a fantastic library! You can download dozens of Bible translations and resources for offline use. They store natively on your SD Card, so they don't take up precious system memory. This is the best mobile Bible app I've found, so far.